It has been brought to our attention that the listing data for several boards within Connect (accessed through my.rahb.ca) are either not available or not correct. After looking into the issue, we confirmed that several boards no longer upload their listing information into the Connect system. As such, in order to ensure our members receive correct information, we will be removing the inactive icons/links from Connect on Friday, July 13, 2018. We are disabling these currently outdated links to ensure our members are not accessing incorrect listing data. *The MLS® systems of these boards are managed by ORTIS. 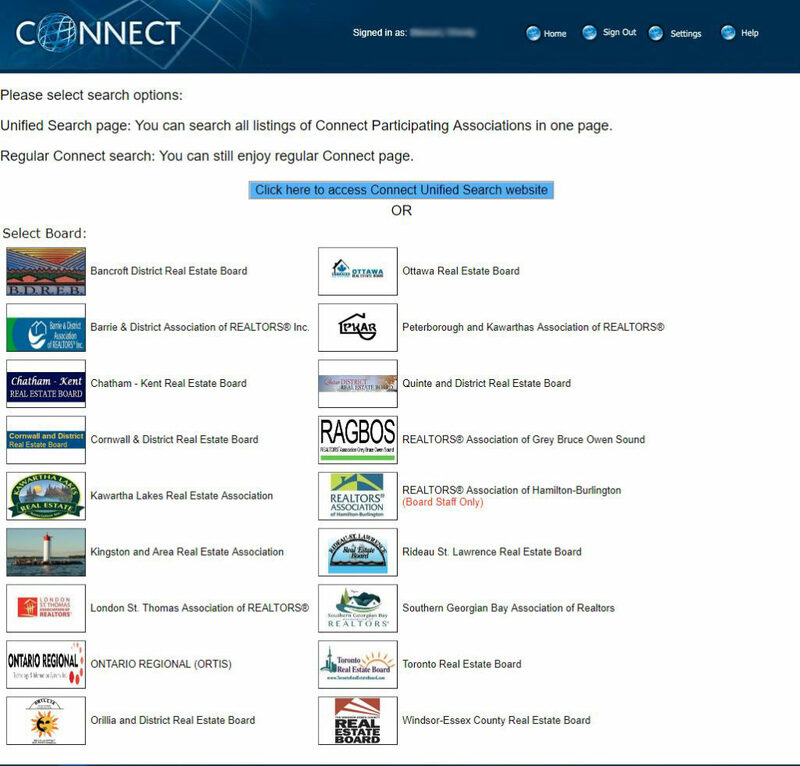 Note that members of the participating boards/associations will continue to have access to all RAHB listings via Connect. Boards and associations that have participated in the Connect data share each made their own decision to do so. Please note we are in on-going discussions with each of those no longer participating to try to ensure an alternative method is put in place as soon as possible to continue sharing across the province. Below is a link to the contact information for the boards that will be removed as of Friday, July 13, 2018 from RAHB’s Connect page. If you have any questions, please contact the RAHB MLS® Support Desk at 905.667.4650 or support@rahb.ca.